I wonder if anybody can recommend good places which have this component. I’m often asked. When I did my MA in Lancaster in 1991/2 I think that only the college of St Mark and St John in Plymouth, under the guidance of Rod Bolitho and Tony Wright, was the only MA in Britain, or M.Ed actually, which specifically trained people to be teacher trainers. And I really recommend their book “Trainer Development”. The skills involved are so different from what is usually taught on MA’s in ELT or Applied Linguistics. The Lancaster MA made us very conscious of our role as teacher trainers in inservice teacher training, rather than in initial teacher training, if we were going to do that job in future, and to make sure we worked with where teachers were and drew on their experience and avoided being the missionaries of good news with whatever new “thing” which happened to be flavour of the month at the moment. I’m currently doing a distance MA with the University of Manchester and one of the modules on offer is ‘The Education of Language Teachers’, which I shall be doing next semester. I wanted to do it in order to have some kind of ‘claim’ to get involved in teacher-training in the future. Beyond that it seems to be a case of, as other have said, being in the right place at the right time. Most teacher-trainers I have met seem to have started out either through an internal promotion or by giving seminars & workshops. Thanks, Dave – and I commend your decision to match your MA with your career ambitions. It sounds like you have anticipated my advice and are ‘ticking all the right boxes’. Let’s hope you get the opportunity to bring this hard work to fruition. Getting into Teacher Training is 90% being in the right place at the right time. When I started looking into it 2 years ago, every single person I talked to had become a teacher trainer simply because they had been working in a place that needed one and they were the most experienced or friends with the coordinator. Reading the comments on Mark’s post, you’ll find the same. The list above is great, but generally it simply serves to increase your chance of selection out of others should you happen to be in that right place at the right time. I fell into teacher training by becoming a DoS thereby implementing my own development sessions for teachers. I then started making as many inquiries as possible. First I got picked up by Macmillan, then by a TESOL outfit. If you’re good, they’ll keep you on and provide a reference for you in the future. – Get the DELTA as it’s generally the most recognized certificate for hiring jobs above being a teacher and is quicker and cheaper than an MA. You’ll notice that many schools require it for training or admin positions even though it doesn’t really train you for those positions. Also, due to somewhat recent changes, you cannot become an official CELTA instructor without a DELTA. – Find a younger school that provides training. You’ll want one where you are one of the most experienced teachers there. This greatly increases your chance of promotion to a training position. New chain schools are also good places because they often have many positions open up and they prefer to hire from within. – Instead of a trainer right away, go for a DoS position (again often a DELTA is wanted) and implement your own training program. – Contact the publishers – Oxford, Cambridge, Macmillan, Longman – in your area and ask them if they need anybody. This is often done on a freelance basis and they will usually give you a trial session if they really need somebody. – Some publishers or training outfits run free workshops to gain recognition. Volunteer to do this. If no outfit does this, offer to start them. It’s mostly about trying to put yourself in that right place. I do agree with a comment Scrivener made on Mark’s blog that most training should be experiential and being thrown in the deep end is one of the most effective ways to learn to train. I think both an MA and DELTA are rather superfluous in this regard as neither actually prepare you to train others. Although it’s rarely possible, what would be great is having an experienced trainer observe your training sessions and give feedback. However, like most things in ELT, there is a catch 22 of “you can’t do it until you’ve had experience, you can’t gain the experience if no one will give you the initial opportunity.” By following some of the ideas in these comments and the post, you can break into that loop hopefully. Thanks, Nick, for that comment, and the extra advice, all of which I concur with. You also said “Although it’s rarely possible, what would be great is having an experienced trainer observe your training sessions and give feedback”. I seem to recall that IATEFL has a system whereby, at the annual conference, experienced presenters can offer to make themselves available in order to ‘mentor’ newbies. Does anyone have any experience of this – and/or do other conferences provide this facility? Great idea – we discussed this last week on #ELTchat and I think the way you have explained it, as a pathway to trainer development, might encourage more experienced teacher to take new teachers under their wing, and thus develop themselves as well. If you google ‘mentoring’ there are tons of books for every discipline – which seems like a good idea to me, not just to narrow down to ELT. There is also a great book by Angi Malderez & Caroline Bodóczky (Mentor Courses) published by CUP. I’ve been a volunteer mentor for the past two IATEFL conferences. The idea (if I recall correctly) came from Peter Grundy was to add to the steps that have been taken over the past few years to make the conference easier, more friendly and more productive for first-time attendees and – with the mentor scheme – for first-time presenters. People volunteer to be a mentor or a ‘mentee’ and are then paired up before the conference. The idea is they work together on the presentations (if needed) and also share experiences of conference going. The mentor can explain, in advance, how the conference works, the best places to go tomeet people, how to organise your time, where the freebie food and drink is, etc. On arrival, mentor and mentee are supposed to get together so that the mentor can help with any problems, give advice on the presentation, etc. My first year I had an old friend from Spain, an old hand at conferences and she didn’t need much mentoring at all, if any! The second year I like to think that I was vaguely helpful and ensured that the person was eased in to the conference and the people there with relative ease. We’ve been encouraging people to get involved in this system a lot more – volunteering is as simple as ticking a box when you fill in your conference registration online. It’s too late for this year, but I’d encourage any of your readers who have a few hours to spare to give it a go next year. Thanks for the update on the IATEFL scheme. I’m dimly aware that other conferences – such as Education Australia – offer a similar service – or did. Definitely an initiative that other (national) organisations should consider adopting. On the back of this post, I am going to try and do one (if I do more, it’s a bonus) of your suggestions each month and see where I end up. I think I will keep an update of my progress on my blog. Gavin, I had no idea about the mentoring scheme for first-time presenters. That’s a brilliant idea, and does I’m sure, encourage people to give the conference presenting a go. Thanks, Emma – I’ll follow your teacher training trajectory with great interest! One thing I didn’t say in my original posting, and should have, is that teacher training can be an incredibly fulfilling activity, and it’s well worth putting in the effort, even though the goal might at times seem elusive. Step one taken today. I contacted IH London where I did my CELTA in 2008, and have proposed a session for new teachers on social media (as a tool for professional development) and conference attendance. There’s a number of centres locally too I believe, such as Reading and Uxbridge who might consider something similar. So I shall be contacting them too. Teacher training isn’t something I have considered embarking on full time to be honest – I love being in the classroom and with the students too much at the moment. But any good experiences and help I can bring to the profession is positive in my eyes and whether it deserves the label “teacher training” is perhaps up for debate. I wonder whether by sharing our knowledge, experiences, failures, we all serve to teacher train in some way. For those true teacher trainers, who actually know what they’re talking about, unlike me, I take my hat off to you! Let’s face it, none of us came into ELT for the money, so it must be because you love it. I’m absolutely with Nick – it’s all about being there when someone is needed. I got my first training job after a year of teaching, with no more than a CELTA. I was nowhere near as qualified or experienced as I should have been, but I was young, enthusiastic, energetic, and better qualified than anyone else who was there at the time! We have to ask ourselves though, what is a teacher trainer? If we take the rather narrow definition of someone who makes a living from CELTA, DELTA and / or post-grad education of teachers, opportunities are extremely limited. In some contexts, non-existant. If you fancy getting involved in CELTA training, you’ll have a better chance in New Zealand, Spain or the UAE (each with ten centres) than you will in Japan (with just one). Even then, your bread and butter will most likely come from teaching English rather than training. I imagine the UK Higher Ed. scene will be getting tougher yet (I’d love to teach on an MA, but frankly I don’t think I could afford to….). Opportunities online are increasing, but you have to think very carefully before attaching yourself to some of the online programmes out there. Good question, Darren. And maybe there’s no such thing (as a teacher trainer). There are simply people who (from time to time, and in one way or another) train teachers. Nevertheless, if we assume that this activity involves certain skills and a particular knowledge base, what’s the best way of acquiring it? I guess that’s the question that’s at issue. And the corollary: what skills/knowledge count as entry criteria, from the point of view of the gate-keepers? When it comes to giving workshops within a school (to the other staff) – I would say the main criteria is that the person has sufficient experience and confidence as well as perhaps an enthusiasm in that area. Sufficient experience might be anything from 6 months to 6 years. When it comes to actually charging a fee and giving more regional based workshops – I would say the teacher in question really needs a relatively substantial level of experience in both teaching and perhaps in having given the internal sessions. I think actually once you put yourself into the position of being a teacher trainer, whether it be offering regional workshops, conference workshops or CELTA/DELTA courses, you need to continually work on your own education and development too. This could mean getting your DELTA. It might then mean, once you’ve got a position or been trained up as a CELTA tutor, continuing perhaps with a Masters or at least by reading journals, attending conferences, reading books. For me something undesirable would be if someone becomes a “Teacher trainer” then suddenly stops teaching, stops attending conferences, doesn’t continue their own education and becomes stuck in a rut. The danger then is as the years pass, we might become afraid, defensive, contracted, dogmatic and perhaps patronizing and even unpleasant to trainees to mask our own lack of confidence and stagnation. I think it’s important for Teacher Trainers to remain lifetime learners, remain open to learning, that will then bring the confidence and authenticity to own our mistakes and learn from them, deepen/refine our own knowledge and actually demonstrate this to our trainees. “I think it’s important for Teacher Trainers to remain lifetime learners, remain open to learning, that will then bring the confidence and authenticity to own our mistakes and learn from them, deepen/refine our own knowledge and actually demonstrate this to our trainees”. Owning our mistakes – interesting comment in the light of the publicity that this new book is getting: Being Wrong: In the Margins of Error. Let me try and add to the conversation. To train teachers means to support, challenge and support trainees in order to help them draw out all their own potential, creativity and innovation. To train teachers means to help them become more effective practitioners by informing their practice with solid theory so that they are able to constantly monitor their pedagogical choices and continuously confront their attitudes and views on teaching and learning. Many thanks for the post and comments. Very timely indeed. Teacher trainer, to train teachers, hmm, like you train your dog to catch the ball and bring it back to you or like a coach trains players to be more offensive by understanding and adopting some techniques. To train teaching. Can you train teaching? Like, you train penalty kicks, like you train for a marathon? Training, brainstorm that… training, exercising, conditioning, intructing, repeting, controlling, guiding. Is the person who teaches pedagogy, assessement, psychology, etc at university level called a trainer? I doubt it. Is the person at a very small school who is open to talk to a teacher about the latter’s difficulties, doubts, reflections, etc called a trainer? I doubt it. I don’t know fellas, teacher training/trainer sounds awful to me. And teacher training when associated primarily with, well, reproducing Cambridge’s holy guidelines and assessment criteria is still even more depressing and in my very biased opinion doesn’t add anything to the improvement of the profession and the field as a whole. And please read this as my criticism against the terminology and the awarding body, NOT, against the trainers (unless you the trainer is responsible for designing the courses and assessment criteria). As I could see from the discussion above, teacher training is an opportunity, as many of you mentioned; I’d like to see more people backing it up as a profession instead. Oh, and another thing, when teaching language learners it’s common sense that now everything is learner-centered and catering to the individual needs and co-contructed and emergent and sociocultural sensitive and all those embelishments right? Good, that’s how teacher education should be carried out as well. It seems there are still many a ‘McNugget’ in it too. A very quick comment re CELTA and guidelines: Cambridge does not design courses or syllabuses or suggest how the sessions on a CELTA ought to be taught – it’s the responsibility of each centre to translate syllabus specifications and turn them into viable training objectives, sessions, materials. It appears your experience was not a very happy one but there are many very good centres which produce many good teachers each year – and I am not talking just about my own centre, obviously! I’m glad you replied, and I expected that. Thanks! As I said, my opinion is biased. There was a similar discussion some weeks ago on another blog about CELTA which you took part as well, so I don’t want to repeat myself here. I don’t need to go to your center to be convinced it is a good one. For me, you are the face of your school and I admire you very much, hence I’m most sure you run great courses for teachers. However, Cambridge stuff is not my cup of tea, regardless of how flexible you can be, in the end it’s how they sell the course and the material they put on their website (including a thick handbook with rubrics and all) that is going to make up the minds of many teachers and teacher trainers. In your case, there’s an added passion and commitment to make it better, but in others there aren’t and we know that, unfortunately. Hi Scott and thanks for this post – not a lot gets written about what it takes to become a teacher educator, although I often get asked myself by DELTA trainees who are interested in developing their career into that direction. Your list of activities is a good checklist – it’s obvious you are talking about being engaged at a different level than teaching or just following a trainer training programme. I do agree with Mark that Marjon’s at the time when Rod Bolitho and Tony Wright were running it offered a fantastic programme. Some time ago, I attempted myself to define what I think are important qualities in a teacher educator, in a guest post for Karenne Sylvester’s blog (http://kalinago.blogspot.com/2009/11/marisa-constandides-on-how-to-become.html). I don’t know if I managed to pinpoint that little extra special something that a good teacher must have to also become a teacher educator and I would be very interested in reading your views. Thanks for pointing me in the direction of your blog post on Karenne’s site, Marisa. I should have read this before I posted my own! Your list of qualities is impressive – even a little daunting (I’m not sure I’d be able to tick all the boxes!). I thoroughly agree that having experience observing other teachers would seem to be essential: I remember the first time I observed a teacher who had been trained in a very different manner from the CELTA-imprinted teachers I was used to, I really had to change a few chips. It’s salutary to realise that there are other ways of teaching – and for me it acted as a brake against a tendency to want to turn my trainees into clones of myself. I’d like to add that by undertaking any one of the actions in Scott’s excellent and comprehensive list, you might find that one or more of these may be what you actually want to do. Involvement in teacher training can require a huge amount of time and dedication. I have no idea how people such as the mighty Mr. Thornbury are able to keep going for conference after conference, continually finding themselves in yet another airport, yet another hotel room. The one or two weeks a year I devote to conferences is more than enough for me. While several years ago I regarded building up a reputation as a conference presenter to be a priority in terms of how I wanted to contribute to ELT, I now find that I simply enjoy the day job too much to put the amount of time into it that would be necessary. Furthermore, I’m enjoying writing and in particular getting my students involved in my blog writing. These were not my goals, as I’ve said, but I’d like people to consider that there are many ways in which to contribute to the betterment of the profession. Those wishing to get into teacher development would be wise to consider the many avenues down which this could take them. *Also, ask any CELTA, DELTA, etc. trainer how much paperwork they have to do. This alone might put you off. Good point, Adam — teacher training, in its most common avatars, is no bed of roses, and burn-out is very common. Worse, it’s often not very well remunerated, given the amount of time and energy that is often involved. Any program that involves teaching practice (i.e. a practicum) is labour-intensive (hence costly for the institution that hosts it), and may also often involve having to travel off-site. All this adds up. Not to mention how emotionally-draining it can be to work with teachers who find being observed nerve-wracking, even threatening. It requires well-developed interpersonal skills and a sturdy constitution. On another note, I wouldn’t equate giving conference presentations and workshops as teacher training, although it is good preparation for being a teacher trainer, and, of course, constitutes a form of teacher education, defined very broadly. But training to me implies teaching practice, observation, and feedback. Anything else is just talk. Thanks, Scott. One of the reasons I love this blog is your constant willingness to converse with your readers. Eline sağlık as we say in Turkey. I didn’t intend to equate giving conference presentations and workshops as all that’s involved in teacher training, although it is definitely a part of teacher development, both for the participants and – hopefully – the presenter. After such a compliment, I feel duty-bound to engage with you, Adam! I am in two minds about the developmental benefits of conference attending (although this is not to deny that it has other benefits), and tend to side with the viewpoint articulated below by Willy, in his short review of Gary Hoban’s book, i.e. “that the only way to drive teacher development is by adhering to long-term frameworks”. The ephemeral nature of conferences (and most online discussion, too, as it happens) doesn’t lend itself to the kind of lasting cognitive and behavioural restructuring that seems to be a prerequisite for durable teacher development. That’s why I’ve always been a strong advocate of courses like the DELTA, sustained over a relatively long time, and with a built-in cycle of practice and reflection. A brief comparison between teaching as craft and teaching as art and how training influences that, and how ‘that’ influences learner feedback. Then on informed theoretical grounds the author proposes a PLS (professional learning system), which made me instantly think of PLN (network), though in the end there seems to be a big difference when you approach your learning/development as a system (as in ‘systems thinking’ or ‘dynamic systems’). It’s also interesting how Hoban fiercely argues against workshops and piecemeal approaches to teacher learning, and claims that the only way to drive teacher development is by adhering to long-term frameworks. These aren’t groundbreaking ideas, but chances are a teacher trainer/educator will find a lot of food for thought in this read, which also shows three case studies of teacher development systems. Thanks, Willy. For a start, your opinion is never futile, nor is training something you don’t know anything about, if only because you yourself seem to be in a perpetual state of (self-directed) teacher development. Thanks, too, for that book recommendation – not one I’m familiar with. In fact, I couldn’t even track it down on Amazon – do you have any publishing details? As for his contention that “the only way to drive teacher development is by adhering to long-term frameworks” – I tend to agree – see my response to Adam above. This books is part of a series edited by Andy Hargreaves and published by Open University Press. Yesterday I stumbled upon and borrowed two other titles of the same series: Professional Learning Communities; and Network Learning for Educational Change. I can let you know should I find anything worthwhile on them. As you can see (from these titles maybe), I’m very keen on becoming a decent teacher educator, but not one that will give input, observe lessons and give feedback, I know this is what the mainstream asks you to do, but it’s not for me, too mechanistic, I don’t see teaching as a body of knowledge to be mastered and tested. I believe in a Dogme-like teacher development program, content drawn from teachers’ needs, interests and contexts, by themselves and for themselves, dialectically; not canned values from UK ELT or elsewhere for example. Thanks, Willy, for the link and the references. “I don’t see teaching as a body of knowledge to be mastered and tested. I believe in a Dogme-like teacher development program, content drawn from teachers’ needs, interests and contexts, by themselves and for themselves, dialectically; not canned values from UK ELT or elsewhere for example”. I whole-heartedly agree with the spirit of what you describe, but I’m less sure how to put it into practice, especially at pre-service level. One of the approaches I experimented with this summer was having groups of teachers (some experienced, some not) working with volunteer students, no coursebooks, but basing their shared teaching practice classes on a rather quick-and-dirty needs analysis. There was no evaluative supervision – only peer feedback reinforced by feedback from the students themselves. 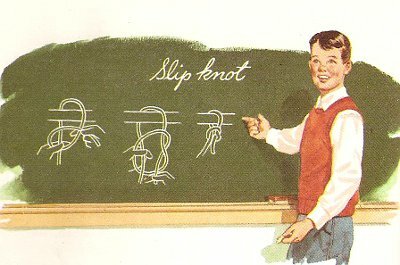 This was a non-evaluated component of a methodology course – the fact that the teaching practice was non-assessed and only occasionally observed (I was the only instructor on the course so could visit the (three) classes only intermittently) meant that it was less stressful, generally, than TP on a CELTA or DELTA typically is. But the teachers had to produce two lesson plans (one on grammar, one on vocabulary) with follow-up reflections on how the plans were realised in practice – and these were assessed. However, apart from ‘doing a grammar lesson’ and ‘doing a vocabulary lesson’ there were no prescriptions on how these should be designed or executed – although my own preference for learner-generated content had been made fairly clear! Result? I’m not sure. The intention was to provide novice teachers with a taste of what ELT teaching is like, consistent with an experiential view of teacher education, in conditions of reduced stress and maximum co-operation. I think from that point of view it worked, but being so short (each individual probably taught three times max.) there was probably not a lot in the way of durable teacher learning. I’m less sure about it at pre-service level too. What if teachers, instead of being told ‘plan a grammar lesson’ and ‘reflect’, were driven to a kind of action research process. For example, teachers ask themselves a How do I… question. ‘How do I enhance students’ attention and participation during a grammar presentation/introduction/whatever’, this is a good starting point I believe, focusing on the actual ‘teacher development’ instead of content/material development. -What will I do about it? -How will I gather eveidence to show that I am influencing the situation? -How will I ensure that any judgments I make are reasonably fair and accurate? -What will I do then? -What evidence could I produce to show how my actions were influencing my situation? -What conclusions did I draw from my evidence? How did I judge my own effectiveness? -How did I show that I took care that my judgements were reasonably fair and accurate? -How did I modify my practice? By answering those questions they might decide for instance that they’ll need peer feedback, or that they’ll need to read ‘How to Teach Grammar’ ;-), but it’s all very ‘self-directed’, not top-down. That way, the heavy stuff, the learning, comes from a perceived need for change and improvement and its hands-on experience. In your example we’re talking about MA-level teacher learners, in theory they should be able to carry that out. As for young and green pre-service trainees, it might be harder, these trainings being only 4 weeks long also make it harder, but I risk to say not impossible. Maybe a longer comment than I’d thought, but my point is that self-direction in teacher autonomy can be structured, organized and responsible, ‘affordance’ is key and a let go of ‘trainer knows it all’ is also welcome too. I’d like to pick up on an earlier point about the benefit of conferences in relation to teacher training. There’s a real danger than language schools see conferences as a substitute to real teacher training. Many schools proudly announce at a staff meeting that they will sponsor staff to attend a conference and therefore satistfy themselves that they can tick the ‘Teacher Training’ box. There is also this idea that you can send some staff to a conference and they will come back to the school and share with those not lucky enough to go (or who had no interest) all those gems they learnt. Again, this process of distillation of conference photocopies and handouts rarely seems to have much impact. Having said that, conferences are great ways to further your career and you come across great nuggets of wisdom. At IATEFL Harrogate last Easter Tessa Woodward talked about stages of teacher development. She mentioned that while many of us attaned conferences and can feel very satisfied with ourselves, there are also many teachers who are doing their own thing and experimenting in the classroom without the need for conferences. They are training or developing themselves and she implied that we should look to these teachers much more than we do as good models to be inspired by. Thanks John – I missed Tessa’s plenary, but I wonder if it might not be wishful thinking, her claim that “there are … many teachers who are doing their own thing and experimenting in the classroom without the need for conferences”. I get the sense that most teachers are too busy marking exams and preparing lessons to do very much conscious experimentation, and that it’s usually only when they embark on some prolonged inservice training that the real experimenting starts. I recall that the bulk of the teachers I trained on Diploma courses had not even been observed, let alone observed other teachers, in all the years since their initial training, and if their institution required them to attend teachers’ meetings, these were usually administrative in nature. Not that conferences are a solution: I agree with you that resources would be better spent on instituting cycles of peer observation, for example, or stocking a decent methodology library. Thanks for the link to your site, by the way – I recommend anyone interested in teacher training to put some time aside and have a good look round. I’m also not that keen on the connotations of being a “teacher trainer” – “teacher development” sounds more nurturing and less like some kind of classical conditioning. As with many people – I just happened to be in the right place at the right time. A brand new school with the funds….who had a vision and luckily saw me as part of it!! They sponsored the DELTA and subsequent “CELTA trainer training” both of which I found so very very inspiring. Being in from the start at a school is great insofar as you can really start to build your own climate of continuing development. Of course the other side is that because everything is being done from scratch it’s a lot of work too. So as teacher development head there are several things I’ve started to put into place at the school. A monthly staff meeting, with a mini-workshop/input session (sometimes I give this – other times I ask people to share – but regardless it’s very much an open-sharing and not so much a “training” environment. We always make sure to schedule enough time for people to chat and bring up whatever they want to bring up. Every 2 months I give a Saturday morning workshop – free for teachers from our school and open (at cost) to teachers from other schools. This has been happening for around 2 years and we have a nice group of regulars. We offer cake, coffee and time to chat afterwards. These workshops are more structured than the monthly teachers meeting – and involve a balance of theory and practice. We’re running our first CELTA course next year. And we’ve started an optional peer observation scheme and in some cases buddy systems between teachers with lots of experience and very new teachers. We have another of our experienced teachers away doing her DELTA right now – and she will join me in the teacher development dept. (and on the CELTA team) It’s too much for just one person to do this and teach. Ideally I need one more teacher willing to make the commitment to teacher training so we can be self-sufficient in that dept. On the whole I prefer to build a teacher training team who also maintain some teaching duties too. While we do sponsor 2 (usually less experienced) members of staff to go to national conferences – our main focus is definitely on workshops, meetings. observations etc. We don’t pay as much as some of the other schools in Switzerland – but we try to make up for that with the teacher development programme and support that we do offer. Thanks Steph: the TD provision that you describe is exemplary, and I’m sure that the investment in time and resources is amply rewarded – in terms of increased teacher satisfaction and, ultimately, learner improvement and loyalty. I don’t mean to disparage conferences (in fact, I’m off to one right now!) but, unless combined with the type of hands-on developmental support that you subscribe, they’re unlikely to have a lasting impact. The discussion certainly has gotten interesting. I’d agree with a distinction between teacher development and teacher training. However, due to the obvious lack of availability of teacher training in most areas, a focus on teacher development may be more practical. As for Willy’s comment about input, observation, feedback, I say why not. Personally, I would prefer observed teaching, feedback, input. I’ve never worked on a course that allowed me to do that but it’s the standard format for DoSes I think. More than the order, I think the ability to be non-prescriptive is more valuable. Take what a teacher did, hear their reasoning and ideas, and then discuss areas of improvement. Letting a teacher plot their own course with no guidance or feedback is like throwing tons of English material at a learner and saying, “Go”. Where does one start, where should they go, what do they need to work on, etc? All of this is something a trainer or at least a peer can offer support with and, with some exceptions, I think most teachers appreciate that support. I think a point Scott made is really important to. People skills are huge. You have to deal with anxiety, low self-esteem, culture clashes, self-recrimination, know-it-alls, and a good bit of crying, freak outs, and break-downs too. Being supportive, knowing when to give criticism and how much, reading people, playing to their strengths – these are all the skills of a good trainer and not everybody is comfortable in that role. One more thing I’d add that’s a bit disconnected. When people do get one of the few training positions available, it’s because they are serious about their jobs and looking at the long-term. This really reduces the number of training jobs because people tend to be there for decades. As a long term career path, training is probably not the most practical goal. Reading this blog, I’ve noticed a phrase which keeps cropping up is “being in the right place at the right time”. This is all well and good but does that mean it’s all down to luck? I don’t think so. Besides working with Scott’s very useful tips for professional involvement in ELT, can aspiring teacher trainers improve the odds in their favour. For me, the question is how can one engineer the odds of being in the right place at the right time? It’s not easy, but perhaps my teacher training journey can illustrate one way forward. I became involved in teacher trainer in 1995, two years after my CTEFLA, and like many others I was in that fabled right place at the right time. The language institute where I was working had a last minute booking for a teacher refresher course and I was one of two people not busy on other courses. I was put in the training room with minimal experience, lots of enthusiasm and great mentoring from a more experienced teacher colleague. So, we got a lucky break and some great experience. I realised that I loved training, so for my next job I specifically looked for work in a centre which advertised teacher refresher courses. Many language schools in English-speaking countries run these courses , typically two-week in duration and designed for non-native teachers of English. These courses combine language development and methodology sessions and often there is no observed teaching element. So, if you are looking for a place to start, consider freelance work at (or moving to) a school which offers such programmes, if you are not working in one already. Make sure you make your ambitions clear and prove yourself by working on Scott’s list in the meantime. To break into the CELTA/Cert TESOL world, at least initially you will need to be linked to a recognised Cambridge or Trinity centre. If this is your ambition, find out where they are located by looking on the Cambridge and Trinity websites. Chances are that trainer in training positions go to internal staff, but if you are being interviewed for a job post-DELTA in a training centre, always ask at interview what options there are for being trained up. Although Cambridge seems to have relaxed its portfolio scheme for teacher trainers with “substantial experience” (what is an experienced teacher trainer? ), if you are starting out you will almost certainly need to go through a full training programme. I trained as a Cert TESOL trainer and this meant observing an entire course, then being allowed to do some supervised TP and some of the lighter input sessions on the next one. Over the next few courses I was observed teaching most of the other input sessions and writing various assignments until by course 5 I was considered ready to go it alone. I am now looking forward to becoming a Diploma level trainer and while the mechanism for training may be slightly abbreviated in my case, I am expecting to have to write input sessions which will be checked and then observed by a more experience colleague. This opportunity may also be down to being in the right place at the right time (my current employer happened to be looking to expand into Diploma level training when I joined), but I have also tried to help myself to be in the right place at least by making sure to continue to look for work in centres which have at least the same or more teacher training provision than in my previous job. Hi Scott, I was at a conference last week in London for EAL (English as an Additional Language) in state schools in the UK and as is now usual for me, I mentioned Dogme, but as always, I was not expecting teachers to have heard of it, as it seems to be more well-known within EFL. But on this one occasion, a lady, Helen, said, oh yes, Scott, he was my teacher trainer at IH in Barcelona not so long ago. She is the EAL teacher at a private school in the north of England, but has now become the teacher trainer of the whole school of 200 teachers, with the job of upping the language teaching skills of non-EFL/ESL etc-trained teachers. It’s a small world. The notion of a broad definition of ‘teacher education’ is important here in that the two areas distingushed earlier – teacher training and teacher development – are essentially inseparable. Whilst a pre-service CELTA course might be primarily concerned with the former it cannot but incorporate the latter. DELTA, as you know, entwines them in the form of the PDA (Professional Development Assignment), which is complementary to the ‘teacher training’ element of the systems and skills assignments I understand in your definition: ‘training to me implies teaching practice, observation, and feedback.’ I totally agree with you on this point! At Bilkent University we have a teacher training unit incorporating both CELTA and DELTA courses, as well as a linked MA in Education Management. Teacher development is an integral aspect of the training philosophy, and teachers and trainers are encouraged to be active in all the areas we might refer to as ‘broad teacher education’: conferences, workshops, research etc. Last year at Bilkent we hosted the IATEFL ESP SIG conference and were fortunate to have William Grabe, Fredericka Stoller, Ken Hyland, Terry Phillips and Olwyn Alexander as keynote speakers. 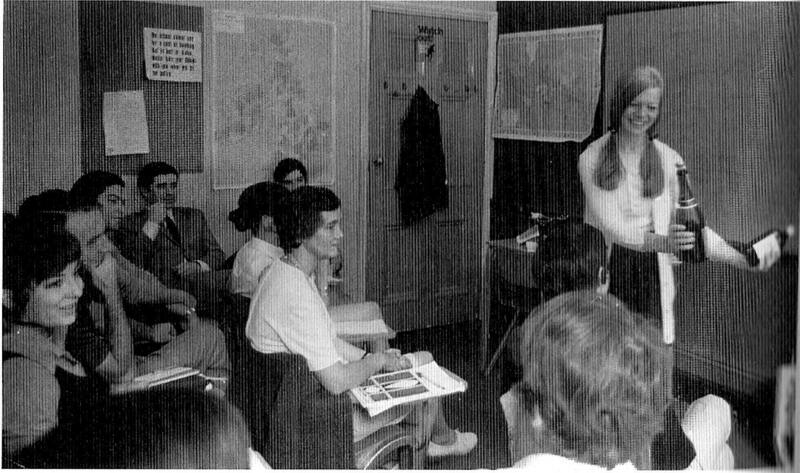 Many of our own teachers and teacher-trainers gave seminars/workshops, and most of our teachers attended the sessions. As you rightly say this is not teacher training per se, but I would argue that it is a very valuable supplement to it in terms of teacher education and development. Interestingly you (or your contributers above) do not seem to include blogging as one of your useful pieces of advice for development. On the Bilkent DELTA course we have regularly included or referred to your blog in training sessions and your blog is linked on our course website, as are those of Jeremy Harmer, John Wells and many others. Your blog and others provide very interesting topics and viewpoints for discussion and give teachers a rich resource of perspectives for reflection on practice. Your recent exchange with Jeremy (et al) on Dogme is an excellent example of this. My colleague on the DELTA training team, Jon Fiteni, has just set up a blog for training and development (http://talkaboutteaching.blogspot.com/) to pursue and develop this area of exchange vanguarded by you, Jeremy et al. Although initially set up for participants on our DELTA course, it is our hope that we will attract contributions and comments on many aspects of training and development from teachers and trainers everywhere. Sule is manifestly committed to teacher development, as are clearly all of your contributers. Your feedback, and that of your contributers, would be very much appreciated and hopefully encourage other teachers to share their ideas/thoughts on our new blog. Thanks again for all the info, views and perspectives, both here and in print form, that have contributed to my teacher learning, teacher education and development. This post is really informative for the ones who want to be teacher trainers. Actually all of these things that you listed for being a trainer actually should be within the manner of every English Teacher. Since the day İ started teaching ELT students, İ’ve always said that English teachers have a positive and unique place in the lives of students so please act as role models. According to this, we need to be in search of the ideal teaching in our classes, for that reason we need more training and we should-must be open to new experiences. I’m starting work as a teacher trainer but I’m unsure about the rate of pay. It’s for a TEFL course in Spain (not CELTA) and I’ll be working full time, Monday-Friday regular office hours. I’ll be responsible for delivering input sessions, helping with lesson prep, observing teaching practice and giving feedback. What would be a decent, take-home monthly salary for Spain?